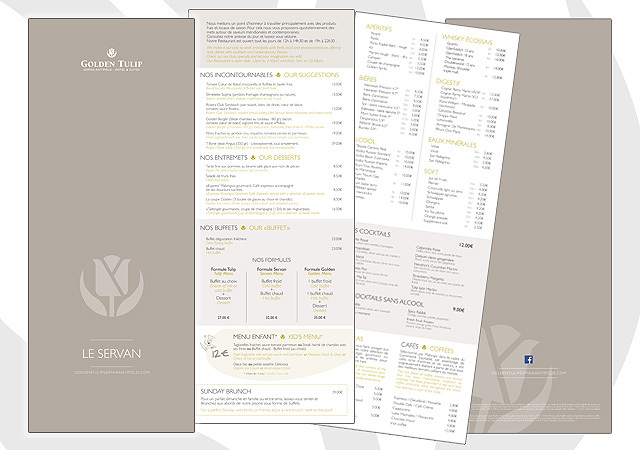 The restaurant Le Servan, in the Golden Tulip Sophia Antipolis, appealed to Ideogram Design to design the two cards of his head. 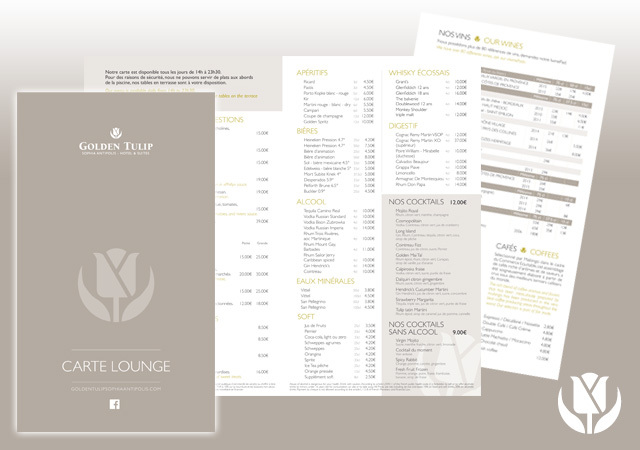 A first for the classic restaurant at large, and another, called Lounge with a limited menu for snacks between 14h and 23:30. They are both digitally printed because few copies printed, little more is the two-sided matt laminated, giving a chic and which also protects the card. Format: 14 cm wide and 35 cm high.